With specialist restorers needing to be flown in from the UK to restore the building to its past glory, on the walls of Britain’s recently reopened 19th century embassy in Tehran are numerous examples of graffiti which simply state “Death to England.” To many it may seem bizarre that such a hostile declaration should be levelled at Britain by Iranian hardliners following the storming of the British embassy in 2011. But while Britain may not be a meddling global superpower any longer, the deep history these two nations share continues to play a major role in how many in Iran views Britain and perceive its power, influence and motivations. The two countries have been in contact for almost half a millennia, but the closeness of these ties dramatically ramped up at the start of the 19th century, with Britain playing a large role in modernising Persia’s military. But a conflict of interests arose when Britain became a formal ally of Russia following Napoleon’s disastrous invasion of Russia in 1812 as Britain had been supporting Persia in its war against Russia. Britain needed to support her vital ally in the war against Napoleon, but there were also concerns surrounding Russia’s intentions towards India. With Persia’s forces shattered, Britain successfully proposed to mediate the settlement. Britain’s interest in ensuring the defeat of France outweighed any fear of Russian encroachments on India and ensured that the resulting Treaty of Gulistan in 1813 came down in favour of Russia, with Persia ceding large swathes of the Caucasus in what is viewed in Iran as a “Humiliation.” The one silver lining the bitter Persians took away was that a defensive treaty was secured with Britain. But this peace wasn’t to last. In attempting to reclaim the territories lost through the Treaty of Gulistan, Persia’s Shah set out to surprise the Russians in 1826 with an overwhelming assault. While initially successful, the assault petered out and Russia’s army went on to invade Persia. It was at this point that Persia invoked their defensive treaty with Britain. Again, this left Britain in a difficult situation. And so, for a second time within 15 years, Britain sold Persia down the river, citing that as Persia was the initial aggressor Britain was not obliged to intervene. The resulting Treaty of Turkmanchi (1828) effectively turned Persia into a Russian satellite state. As any chance of expansion in other directions was impossible, Persia – with pressure from a Russia hungry to get closer to India – turned to the east and chose to revive its claim to the Afghan city of Herat, which it had governed sporadically in past centuries. And so, in 1837, with an army trained and supported by Russia, Persia laid siege to Herat. In addition to a British intelligence agent who slipped into Herat before the siege (and substantially aided in organising the city’s defence), a British naval and land force was dispatched to the Persian Gulf to threaten the Shah from the other side of his kingdom, compelling the Persian force to withdraw from Herat after an embarrassingly lengthy siege. Eager to reclaim Herat (again, under Russian pressure) and convinced that Britain would not resist this time, Persia also laid siege to Herat in 1856, taking the city after only slight resistance. But, once again, Perfidious Albion stood in the way, sending another force to the Persian Gulf to compel Persian forces to withdraw from Herat because of the threat it posed to India. As in 1837, the ploy worked and Persia was even forced to give up any claim to Herat, foiling Persian ambitions of reclaiming lost territories they considered rightfully theirs. Despite Iran being put in its place repeatedly in the 19th century, Britain’s involvement in the country only deepened in the early to mid-20th century. Again, this was fuelled by suspicions of the intentions of Britain’s European rivals, but there was also the added dimension of oil, with the forerunner to BP, the Anglo-Persian (later Iranian) Oil Company, being founded in 1908. In the first instance, Britain supported the overthrow of Ahmad Shah in 1921 to halt the growing Soviet influence in an incredibly weak Persia, which was being encroached upon by both states. In turn, his successor, Reza Shah was overthrown directly (and ironically) by British and Russia forces working together in 1941 to ensure that Iran did not fall under German influence and potentially block supplies entering Russia through the Caucasus. In this coup, the Shah is replaced by his son, Mohammad Reza Shah, who would be overthrown in 1979. In the interim, a joint MI6-CIA coup in 1953 deposed Iran’s first democratically elected Prime Minister, Mohammad Mosaddegh, who had alienated Britain through nationalising the assets of the Anglo-Iranian Oil Company. As a direct result of this coup, more power was given to the Iranian monarchy, which Mohammad Reza Shah would come to exploit brutally, playing a substantial role in the 1979 Islamic Revolution. Given such direct involvement in the politics of Iran over the last hundred years, with some of it being within living memory, and the legacy of the 19th century, it is hardly surprising that there is such a good deal of Iranian suspicion and hostility directed at Britain. Undeniably, Britain’s withdrawal from Great Power status and America picking up the slack led to America being labelled the ‘Great Satan’ by Revolution hardliners, but Britain’s history with Iran has ensured it still has special position as being viewed as a dangerous meddler by the Iranian establishment. 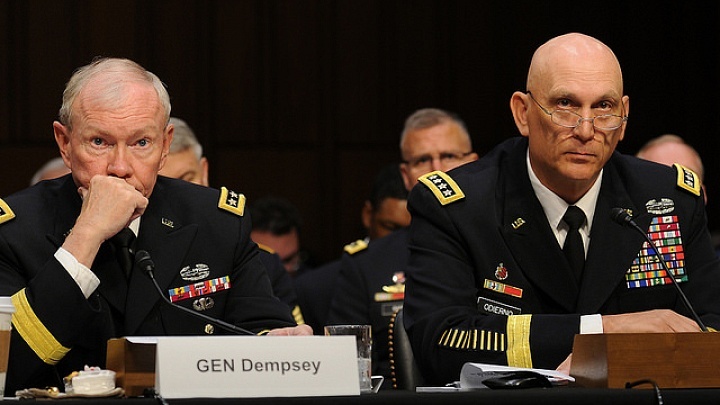 With the West’s increased involvement in the Middle East since 9/11, this suspicion has become especially acute. In two of the most high profile instances of this, Iran seized Royal Navy personnel in 2004 and 2007 for supposedly straying into Iranian waters while patrolling in Iraqi waters, assuming they were collecting intelligence. In the first instance, only eight people were taken and they were released after three days, but the second instance involved the 15 servicemen and women being held by the Revolutionary Guard for 13 days in what turned into something of a media circus. This is in addition to a number of British businessmen who have been detained on the grounds of being spies (although some accusations were more wild than others). 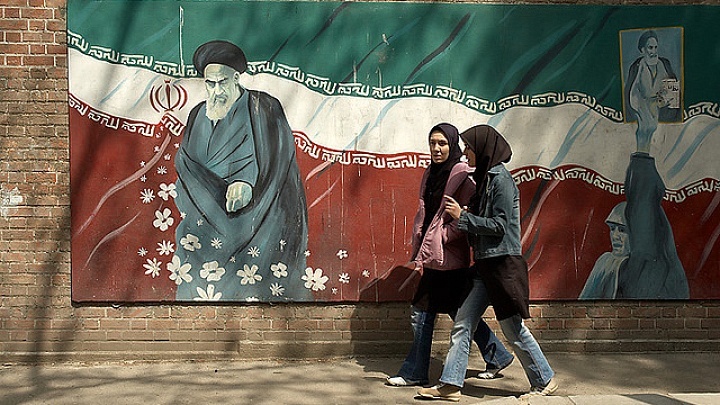 The increased scrutiny of Iran’s democratic process following President Mahmoud Ahmadinejad’s re-election in 2009 also caused substantial tension between the two states. Again, Iran viewed Britain as hostile interloper following, with the BBC’s Persian Service supposedly fermenting protest in the elections’ aftermath. Speaking on the supposed foreign involvement in protests, Ayatollah Khamenei went as far as to declare that Britain was the “most evil” of all foreign governments in their actions. Relations during the Ahmadinejad administration reached an all-time low two years later when Britain – and a number of other states – imposed sanctions on Iran in 2011 following the publication of a damming International Atomic Energy Agency report. Days later, Regime supporters overran the British embassy with tacit approval of the Iranian Government. No other embassies were stormed. Cell phones and computers – containing sensitive information – were taken from the British embassy building, such was the suspicion these hardliners had of Britain. With hardliners who are well-versed in Britain’s meddlesome past still dominating Iran’s security services and military, any sort of steps in the right direction can only be baby steps. The BBC Persian Service, British businessmen and women increasingly operating in the country, and the arrival of British diplomats at the re-opened embassy will all no doubt appear treacherous to hardliners. If the past and modern examples teach us anything, any small transgression by Britain – no matter how innocent – could be seized upon and a disproportionate response will follow from Iranian hardliners. Under such circumstances, Britain must tread extremely carefully in its actions if it wishes to stay on good terms with Tehran and reap the benefits of its largely untapped economy. Failure to do so will send the house of cards that is Anglo-Iranian relations tumbling down once again. Are Manned or Unmanned Aircraft Better on the Battlefield?